Cables are the best bang for your buck in knitting! Cable designs look difficult, but are so simple to execute. Start with these easy cables and work your way up to more complicated versions. All levels of cables follow the same principles and you will be very impressed by the professional look achieved with such minimal effort. We don’t have to let all those non-knitters in on our little secret! Thanks for knitting with me! In row 3, knit 4, cable 8 then cable 8 immediately again. Thanks for knitting Endgame with me! The 4-part instructions in their original Knit Along format (lots of tips and photos) are found right her on my website – just click on the KAL icon on the home page and then scroll down. 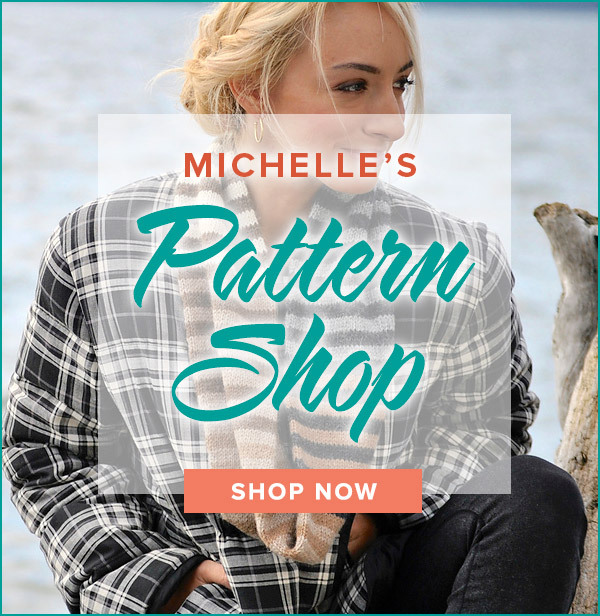 The condensed pattern is found either in the Pattern Store on my website in the the free pattern section or on Ravelry. Happy knitting! I just purchased the yarn for Endgame and was hoping someone could tell me where to get all the directions? Your videos always give me hope that I can do this when feeling overwhelmed! Thank you for sharing your instructions so well. Yes, check out my Loose Knit Column video. Wonderful video, thank you! Do you have any suggestions for minimizing the hole adjacent to each cable? I’m using super-bulky yarn and cabling over six stitches. Thank you Jan and knit purl – I was trying to put six stitches on my cable, then knit six, then purl three stitches. Al I can say is that it was a bit like trying to push a very large button through a very small buttonhole! Silly me!! It even looked like a bulky mess. I am on the Cable Building block #5. So Cable 6 means 3 stitches on cable and 3 stitches on needle? Thanks for knitting Building Blocks with me! There is not a specific video for mock cables. It is the psso and yo before a purl stitch that create the mock cable and these videos are referenced in the book. Happy knitting! Is there a video for Mock Cables? I did not see it in the list of instruction videos. The mock cable is the next building block that I will be working on. Your videos are so helpful I watch them over and over when I get stumped. Thanks! Thanks for knitting Building Blocks with me! It sounds as if you are doing all the right things! The loose purl stitch after a cable is a natural phenomenon and can’t be completely eliminated. You are hand knitting so all of the stitches are not exactly the same which is the beauty of the craft. Only a machine makes perfect stitches every time. I will bet that your block is lovely! I’ve watched ALL of your videos – thank you so much. I bought your Building Blocks book and I am now on my last block, the cable block. I have trouble with the purl stitches, following the cable stitches, as being very loose. I tried your trick of wrapping the purl stitch the opposite way and correcting it on the wrong side but it just doesn’t look right. I’ve tried pulling the purl stitch very tightly but that doesn’t work very well either. I’m now purling 3 stitches and going back and with my left needle pulling the first stitch to tighten it and subsequently tightening the 2nd and 3rd stitch too. Looks good but is a lot of extra work. Any ideas? Your knitting seems so relaxed and effortless. My dream! Your videos are so easy to follow! Thanks! 🙂 I would really like to learn how to decrease cables. Hope to see a video tip on that soon! Please try the video again and let me know if it works now for you. It has been updated. Thanks so much! I have alerted my website firm and they are investigating. Thanks for the heads up! There is no video when I tried to view the cable video. I read the explanation but didn’t have any visuals. Did I do something wrong or is it the website? I am happy to help your renewed knitting skills. Welcome back to knitting! I am a renewed knitter. I learned the garter stitch as a little girl and now as an adult, I have discovered the joy of knitting. I took some lessons and your book was recommended. I am on Block 5. The videos are perfect for reinforcing what I learned and for instilling confidence. I am for sure “happily knitting”. Thank you for your book and this website! I thank you so much for your online video training. 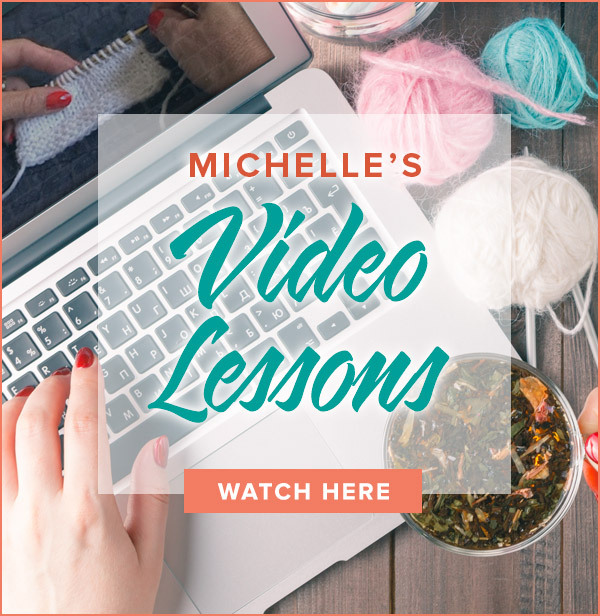 I live in Granville and purchased your booklet from wisp knitting & crochet…the instructor of this building blocks class was not user friendly for a new knitter like me; however, I came home and started watching your video’s and today I start BLOCK #5. I never went back to the classes I paid for, but that is okay I am learning more from you. Thank you so much – you have made my dream of becoming a good knitter come true. That is always the trickiest part about cables! The knitting is so easy in between cable rows that it is common to lose track of the rows. I prefer to use a counter. I am particularly fond of the ones that click as you advance the number. I have the old school plastic clickie counter and a clickie knitting app on my smart phone. I feel a real sense of accomplishment at the sound of the click. (Don’t get me started on my love affair with clickie pens!) I also find sticky notes extremely helpful to keep track of my rows. Some knitters like to drape a small piece of waste yarn in the first stitch of the cable round and then remove it on the next cable round to help them keep count the rows. Do you have any hints for how to count the rows between cables? Thank you for the video–it is good to see another set of hands letting you k now you are doing the technique correctly!! I watched and enjoyed this video- even though I have cabled alot, the teaching style is beautiful.